If you're considering taking birth control pills, you're not alone. Birth control pills are some of the most popular contraceptives. And for good reasons — they're effective and easy to use. The variety of birth control pills available, though, can seem daunting. Fortunately, they can be sorted into just a few categories to make it easier to assess your options.What are the different kinds of birth control pills? 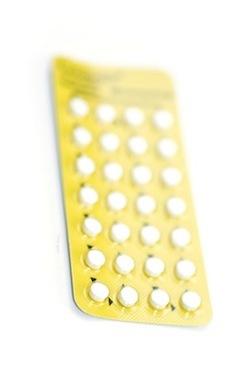 Combination birth control pills, which contain estrogen and progestin. The minipill, which contains only progestin. Conventional: Conventional packs usually contain 21 active pills and seven inactive pills, or 24 active pills and four inactive pills. Bleeding occurs every month when you take the inactive pills. Continuous dosing or extended cycle. These packs typically contain 84 active pills and seven inactive pills. Bleeding generally occurs only four times a year during the time when you take the inactive pills. Formulations containing only active pills — eliminating bleeding — also are available. Monophasic: In this type of combination birth control pill, each active pill contains the same amount of estrogen and progestin. Multiphasic: In this type of combination birth control pill, the amounts of hormones in active pills vary. Combination birth control pills that contain less than 50 micrograms of ethinyl estradiol, a kind of estrogen, are known as low-dose pills. Women who are sensitive to hormones may benefit from taking a lower dose pill. However, low-dose pills may result in more breakthrough bleeding — bleeding or spotting between periods — than do higher dose pills. The minipill doesn't offer as many choices. There's a single mixture and formulation, and all the pills in each pack are active.